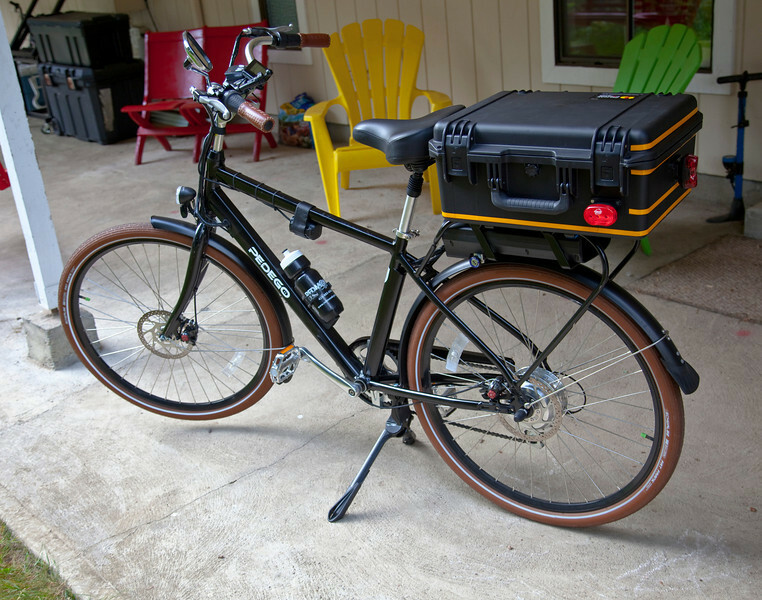 Ursus Jumbo Double Kickstand mounted and deployed on the Pedego City Commuter. Notice that with the weight of my trunk setup and electric battery, the front wheel comes up off of the ground when the kickstand is deployed. Very stable three point stand with the rear wheel.